If your water heater has sprung a leak, stopped working, or no longer provides enough hot water, it's time for a new one. Call us now for a solution today! There are numerous factors that determine whether or not a water heater needs to be replaced. For example there may be a leak in your water heater that can not be fixed. In order to provide an accurate assessment it is important to contact a licensed plumber. DRF Trusted Property Solutions is the leading water heater installer in the area. DRF provides water heater replacement of water heaters for Chicagoland, Northwest Indiana and Michigan. Every day DRF repairs, services and replaces numerous water heaters across the Midwest. Our team of water heater experts patiently assess each unique individual’s hot water situation over the phone and recommends the necessary steps to ensure their hot water needs are met. DRF Trusted Property Solutions can replace your water heater same day! In the event you require a replacement water heater, DRF carries all the best brands like AO Smith, Bradford White, Reliance, Rheem, and State. DRF also specializes in tankless technology. Want to learn more about Tankless? Click here to watch the differences between tank and tankless water heaters. DRF carries the best tankless water heater brands like Intellihot, Navien, Norritz, Rheem, and Rinnai. 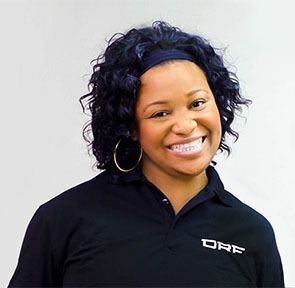 Whatever the need, repair or replacement, DRF will provides a solution that is right for you, your home, your family and your lifestyle. DRF’s hot water experts are available to provide you with a proper hot water solution. How do I ensure that I select a tankless water heater in the appropriate size for my home? How is a water heater flushed? How much can I expect to save on my monthly bill if I install a tankless water heater? How much do tankless water heaters cost? My neighbor is pretty handy – can’t he install my water heater?